Thanks to all who are giving input. Everything that needed to be said was said "Best" by all of you. I guess some individual's need to learn to keep their foot out of their mouth before speaking. Your 540's are really looking great on your new Monnie in vid mongoose #3. You also had a really good cascade going at about 1:20 . Now I know why you're dropping so much weight...it's isn't the diet that much. It's you running around practicing your kite tricks for 3-4 hours everyday! Keep it Up! another couple of sessions and you'll be there! Shoot, that's nearly there. I mean, unless you are being judged in a comp, those will pass for 1st 540's for sure. Don't be afraid to give just a little more line. If you watch Martin in the above video (first, remember he's flying in some light winds), notice how his off hand is actually also going forward during the flare move before he pulls for the spin. It's subtle, but the kite feels everything when the lines are tight, so don't underestimate how much this will help get you all the way into a flat flare. The other advice (in one of your threads) about flying down at a slight angle is good advice. It can help make sure you get a little tilt to the flare, which helps it get around in the spin a bit easier. looking a ton better. 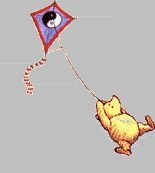 I still think the kite could be driving down faster before the trick. As I showed you wednesday, pulling your hands back to get the kite to dive faster (JUST before the trick starts) and then doing the rotation looks a little more dynamic. At least in my opinion. Another thing is the exit. Dont be afraid to really snap the kite out into a solid line after the rotation. Maybe move back quicker to load the sail more. We can work on stuff wednesday. Going to send you a PM to see what time you'll be out there. but you really need to move your feet a lot, even in light winds. You seem to connect well with the Mongoose... try to do most of your practice on the kite you connect the best with. I was also trying to find Randy G's 540 tutorial which gives you a really good idea of the inputs and movements but I can't find it. Since the original website finished, it's not one of the vids being hosted on the Kite Clique site or on youtube. Shame as it's a very good tutorial. until randy can get it up on 'the clique' i tossed it up on filedropper (hope that's ok with randy). as an aside, if you learn tricks in both directions from the start, you'll help avoid developing a weak side. In light winds, the 540 is cake when you know what you are doing. It is the contrast between powering up on the way down, and good quick slack to flare...and a perfectly timed pull at the apex of the flare. If the kite is really stalled in the flare, the rest is pretty easy. But if the winds make this kill hard, then the spin will require alot of extra slack.